What's in Rolls Royce Brand? - What is your Brand Value Proposition? A large assortment of some of the World’s finest cars came to my home town last week for the annual Concourse de Elegance in Pebble Beach. There are only a handful of manufacturers still around around after 100 years that are still going, let alone one that is 97 years old and one of the World's Superbrands. 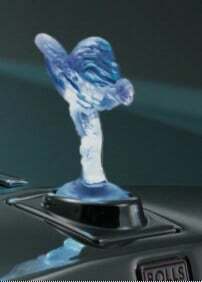 One brand in my opinion rises above them all - and that is Rolls Royce. I then asked myself the question, “what’s in the brand Rolls Royce…what does it mean to own one, who buys them and why?”. A bad photograph of a beautiful pre-WW2 Rolls Royce drop-head coupe that inspired this article. 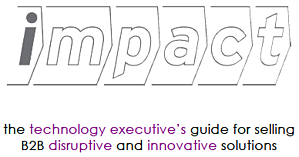 Stan DeVaughn of Turner DeVaugh sent me a survey his firm conducted late last year in conjunction with Jigsaw for the CIO council entitled, “Vendor-CIO First Contact: Smarter Approaches for Vendors Seeking to Connect with CIOs”, which you can download by clicking on the link. This is an enlightening, yet disturbing survey into the business development behavior of sales and marketing representatives from IT vendors and B2B software companies. It surveys more than 300 CIO’s about their experience with first contact from new vendors and suggests ways that corporations can better defend themselves from unwanted cold calls and SPAM. The survey interviews 30 sales professionals to understand the problem from both sides and offers enlightened vendors suggestions on how to better engage their target market, and is worthwhile reading for every sales and marketing executive. Sales reps revert to the cold call and telemarketing to generate leads, (despite low conversion rates) in order to satisfy sales managers, who need to be seen to be driving lead generation – this does not serve either organization. Lack of preparation and lack of homework prior to a call is just plain unprofessional–period. Unsolicited emails are SPAM and are as unwanted and annoying as cold calling to CIO’s; IT executives are actively encouraged to use permission-based SPAM filters. Emails and voicemails with no clear value proposition–from the clients perspective, rank in the top 5 DON’T DO list. 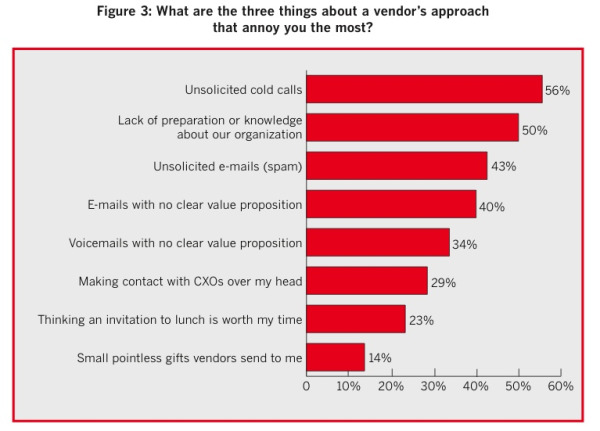 We’re in Q3 2010, yet many IT vendors doggedly persist in 1980’s cold calling and poorly targeted email techniques, despite the miniscule success rates in vain the hope of connecting with IT buyers. “When we want or need a product like yours, we will find you” - is the CIO mantra that sales and marketers need to heed and understand; IT executives are not waiting for your call or your SPAMMY email. Vendors wanting to make first-time contact with CIO’s should do their homework prior to making an approach; leading with an opinion on value-creation, specific to the company and relevant to the industry. Vendors should be prepared to use vendor portals and to communicate with a clear and relevant value proposition, coupled relevant proof points. 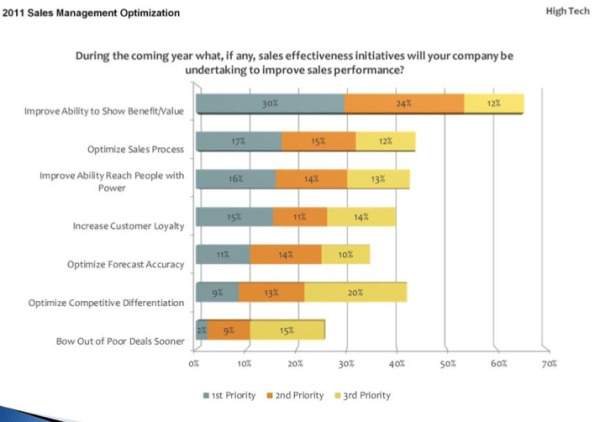 If the activities of your sales and marketing team rank high on the CIO annoyance scale in chart 3 or if they struggle to communicate value and differentiate offerings as in figure 9., then more of the same Outbound Marketing techniques are not going to help. In the dot.com boom and Outbound Marketing World of just a few years ago, marketing, advertising and branding agencies engaged well funded startups in positioning and branding exercises and at the same time relieved the investors and company of a lot of cash. This sort of top-down branding went hand in hand with lavish launch parties and first-mover takes all mentality that fueled the dot.com boom and subsequent bust. Driving eyeballs was what mattered and often the brand message was disconnected from the underlying value of the products and the sales team's ability to articulate it in conversation with buyers. It is difficult to imagine spending lavish sums on branding, positioning and advertising in today's Inbound Marketing, lean-startup World, where every dollar spent is closely scrutinized and analyzed for ROI, and where it is recognized that B2B brands are built over time, based on customer success. To me it seems obvious that the branding should be based on the value the company creates for customers and we can capture this information through a careful analysis of how customers use the products/services. What matters in messaging is connecting your brand and positioning message with the most visceral value-creation proposition for each interested group of buyers in your prospect universe. Al Reis in the book "Positioning" suggests rather than try and create something new and different in the mind of the buyer, we need to manipulate what is already there and re-tie the connections that already exist. 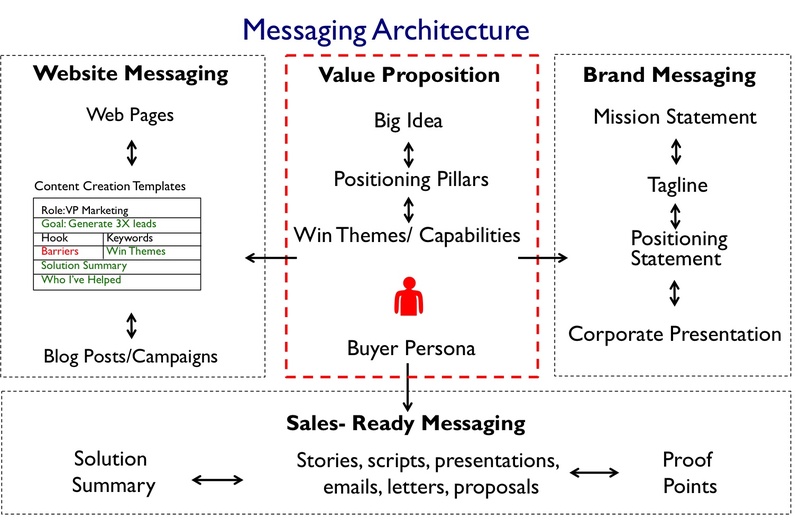 A methodology for messaging value is built from the bottom-up, based on connecting value-creation to buyer-needs rather than a top-down "Mad-Men" view of the World into the reality of selling products/services...we have tried both approaches and bottom-up works best. 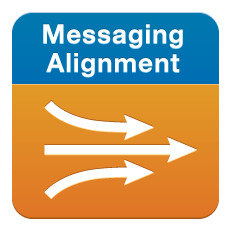 Start your journey to clarity in messaging value with a sales and marketing messaging alignment workshop. 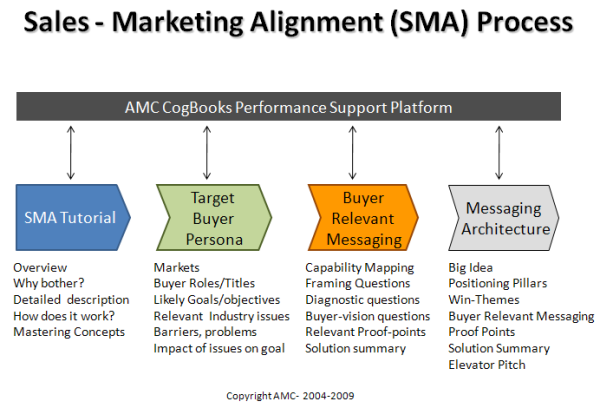 The output of this process is Messaging Architecture that will help marketers and salespeople position capabilities and engage buyers in conversations around their problems vs. the product features. Group Win-themes into logical clumps and abstract the positioning pillars to create clarity in positioning vs competition. At this point we will have enough information to create visual confections and visual stories that salespeople can use to engage buyers in conversation around their issues. With the Value Proposition in place, the Brand Message including mission-statement, tagline, corporate positioning and corporate presentation (visual confection) can easily be derived. Content Creation Templates are used to develop consistent content across the company for both blogging and Website content by insiders as well as external writers, by extracting win themes and buyer persona issues and appropriate keywords. Create a "Mission Statement" that helps employees connect their daily toil with company vision, revenue, profit and customer satisfaction goals. Create a positioning statement that identifies the market segment you wish to occupy in the mind of the buyer and why your product/service is different and valuable. In a startup attempting to re-segment an existing market, the positioning statement will be used countless times in sales and marketing messaging, it should be well thought out and should not change every week. Merry Christmas, Happy Holidays and Happy New Year to my friends colleagues and fellow group members. I was explaining our sales training approach (which is based on improving communication, language and inter-personal skills and applying these skills in selling situations) to a corporate sales training professional recently, who made a comment to which I took exception. 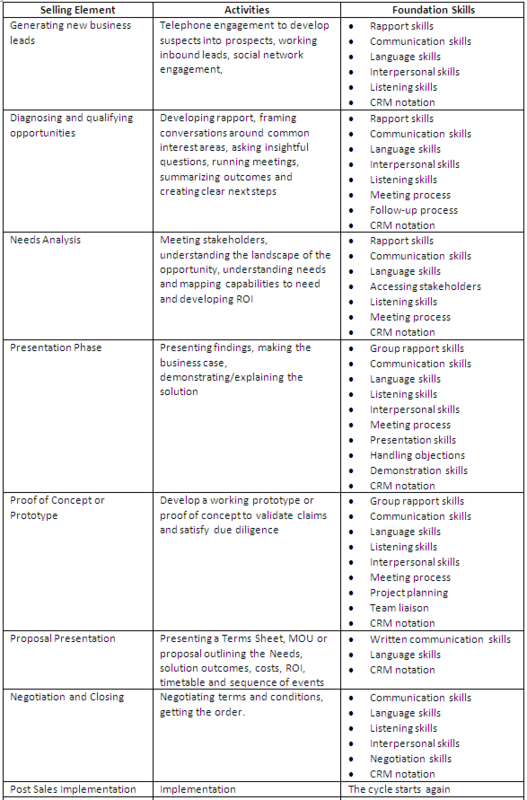 He said, “Yes, well of course that’s soft skills training, and we are not planning on doing any of that. We offer it for our management team, but our sales training is focused on product training, overcoming objections, negotiating and closing the sale and we are currently implementing the TAS methodology and training.” The implication here is that soft skills are touchy-feely and somehow optional or nice to have, or something that sales people are born with....not the hard skills sales people to need to crunch deals and close hard. Needless to say it was a short meeting. According to Wikipedia: Soft skills is a sociological term relating to a person's "EQ" (Emotional Intelligence Quotient), the cluster of personality traits, social graces, communication, language, personal habits, friendliness, and optimism that characterize relationships with other people. I continued to consider what the training buyer had said, because it called into question our recent experience and the sales performance improvement methodology we had developed. 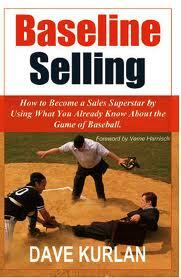 I began to analyze the selling process and dissect its elements and offer the following insights. Selling is a craft or skill that can be entered as a profession at a minimum by anyone with the ability to use a telephone. The craft of selling is innate in some individuals with highly developed interpersonal skills and intellect, - these people (about 5%-10% of the sales population) are known as naturals. For the rest of us, selling is a skill that is learned both by doing it and through training, - and with practice and coaching it can be mastered. 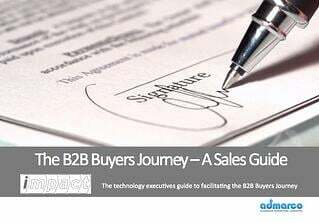 The B2B selling profession is underpinned by process (this resembles a science) where every move and transition in the selling cycle is captured and as such can be analyzed and optimized. Selling methodologies and CRM however will not help salespeople engage buyers, diagnose needs and qualify if capabilities are relevant, which to my mind are the highest order elements in the whole sales cycle. The following is a true story extracted from a recent call in a company, possibly just like yours. Julie, a sales rep from ABC Software, just got back from an initial meeting with a prospective client who registered interest in your products on your Website. Your inside sales team spoke with the prospect and qualified interest in a meeting to discuss ABC application usage in Acme. Julie's Sales Manager, Bob, asks "So how did the Acme meeting go?"